The Illuminessence line isn’t the same as a Bluetooth bulb where you can ask Alexa to turn your lights on or dim the light while reading so you don’t have a grumpy spouse yelling at you. 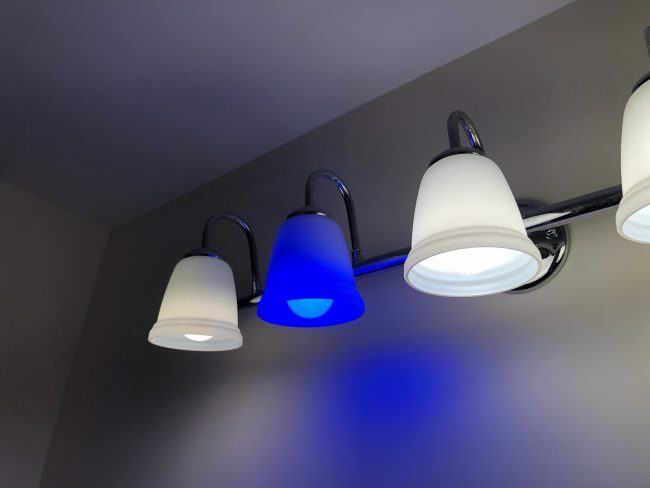 These are designed for the fun side of LED lighting, where you can have solid colors or flashy patterns, change things up and generally make a room funkier. 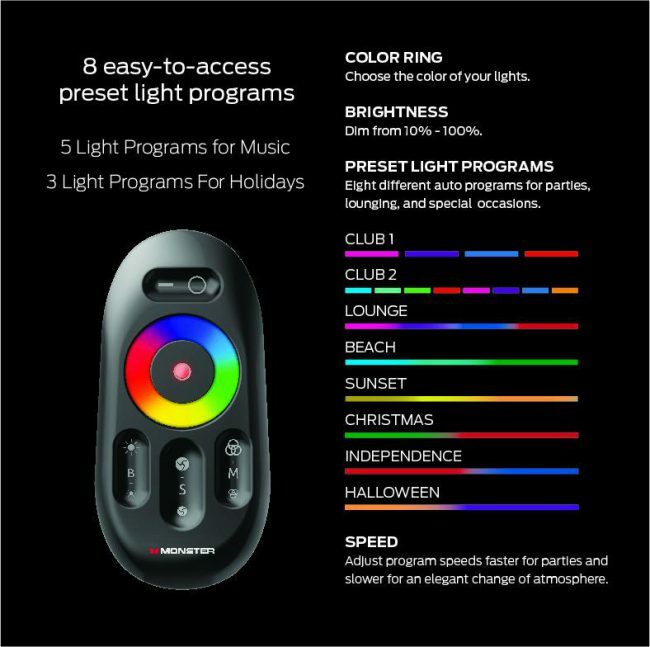 I had a hard time imagining I’d get home from work and want to immediately pop on rave lighting, but I also think if these existed when I was 22, my entire apartment would have been wired with them. Likewise, my son fell in love with them, and he had zero issues working the remote and changing the settings. I have some issues with Monster’s execution, but I recognize that these limitations also kept costs down. 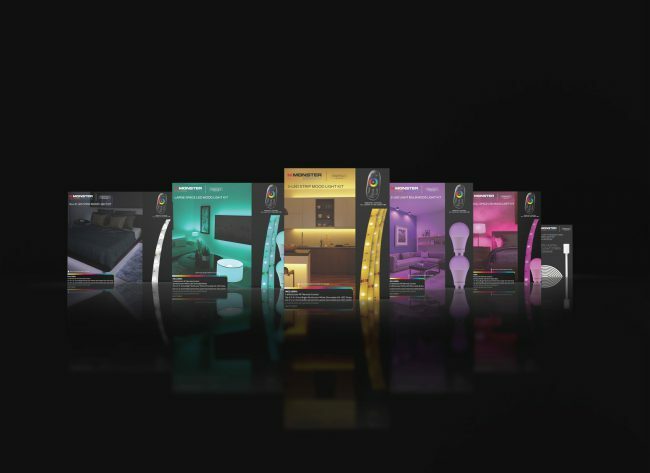 The Illuminessence kits are relatively cheap, ranging from $15-$30. They each come with a remote and do not use Bluetooth or WiFi to communicate via any central hubs. The lack of a central spot to control the lighting is the first major pain point for Illuminessence. If you have three strips around the house, you need to either have three remotes (and keep track of which is which) or attempt to program them all onto one remote. That’s not as simple as it sounds, because it involves unplugging the device, plugging it back in, then immediately holding down a non-tactile button on the remote you wish to use. It’s a lot of work relative to a Bluetooth bulb that simply gets added to an app. The second issue I had is that while the remotes came programmed out of the box, I had one instance where an LED strip just decided to stop listening to the remote, and it took multiple plug-ins and button presses to get it to respond. I even tried swapping which outlet it used and tried different plugs, but it was quite stubborn about doing anything other than glowing an anemic red (the last color it was set to before it apparently went on a coffee break). I had better luck with the bulbs, but I have a hard time imagining many scenarios where a remote-controlled bulb is preferable to an app-controlled one. Monster’s kit is slightly cheaper, but with sales, you can generally find LED smart bulbs for around the same price, so it’s a tougher sell. 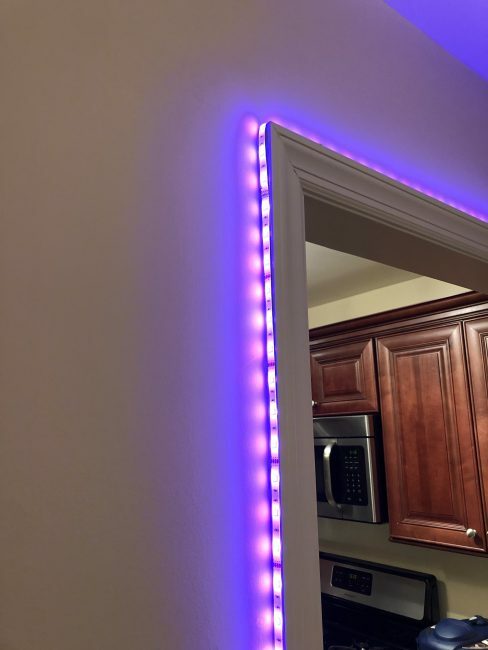 The LED strips are pretty unique, but you have to want mood lighting and have the patience/appropriate space to line it up along walls or under furniture. My dining room doorway is so festive! At the end of the day, the Monster kits are a really fun novelty. If they were smart and app-controlled instead of using remotes, they would go from being a novelty to being truly useful in a smart home. Instead, they’re cool items to have on hand for parties, a game room, and probably as a hallway light path or something similar. I could see these being huge in dorm rooms, post-college apartments, and in bars looking for a simple way to add funky decorations. If you see them as a fun accent design, they’re great, but they won’t be replacing your regular smart lighting anytime soon. You can find Monster Illuminessense products at Walmart.